Oh yes... there IS such a thing. We are back to Friday and I am sharing today the BEST BLT recipe we have ever used. Sounds basic, right? Yes. But it isn't. You have to be specific about what you put in this bad boy! GRILL the goose bacon. We have a lifetime supply of this stuff because we were struggling to figure out what to do with our surplus of goose. My husband is a hunter and I (typically) take some coaxing to try some of the things he comes up with. This? This was goooooood. But grill it. Don't put it in a skillet. Toast the bread and top with Mayo (both pieces). Slice the tomato as thin as you can. Wash and dry your lettuce. This was our first harvest from the Knott garden and our lettuce was SPECTACULAR! 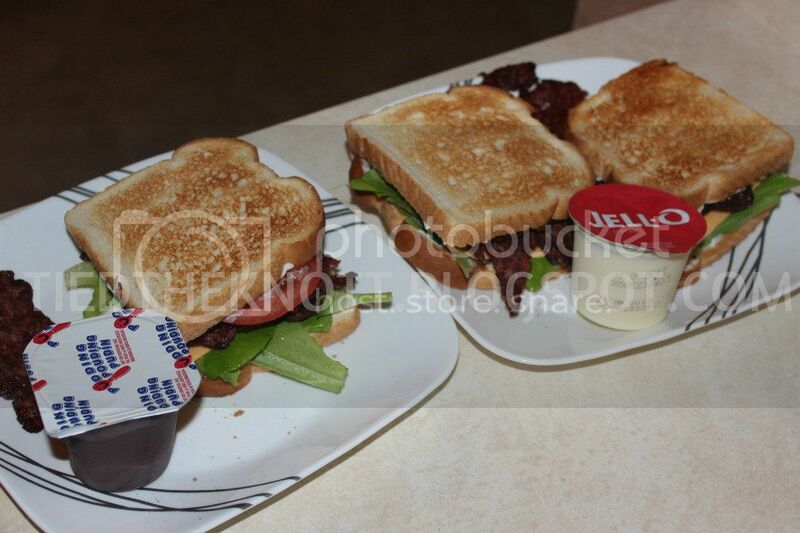 Now: on top of the mayo put: bacon, lettuce, tomato, and top with the last piece of toast. In that order, please. Take a gigantic bite of that delicious sandwich! This is the best way to make a BLT. And yes, only mature folks such as ourselves eat a snack pack with lunch on a Sunday afternoon. Making BLT's tonight but add avocado! !